Atlanta’s largest collective of farmers markets has launched a new series of seasonal cookbooks. 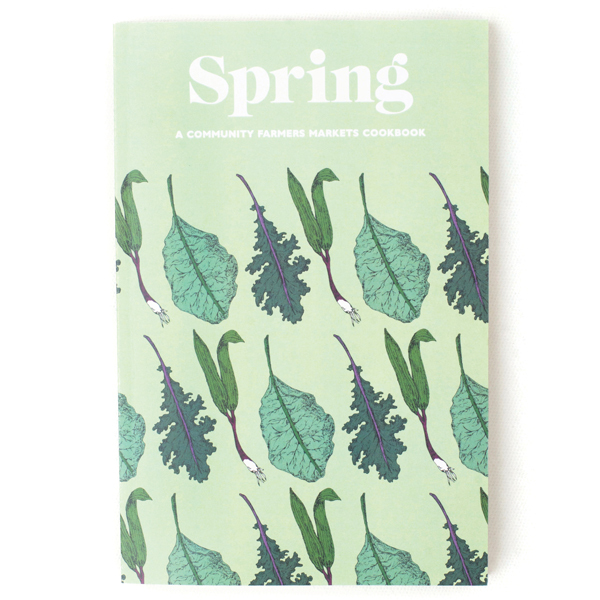 In May, Community Farmers Markets released the first edition, Spring. It features more than two dozen recipes from farmers, vendors, and chefs like Billy Allin of Cakes & Ale, Terry Koval of Wrecking Bar, Steven Satterfield of Miller Union, and author Virginia Willis. Summer followed in late June, and Fall and Winter will be released before the end of the year. Proceeds benefit the nonprofit’s culinary outreach and education efforts. Available for $12 at CFM’s markets (including Decatur, East Atlanta Village, and Grant Park) and Cover Books.